To officially kick-off the second T.Dining Best Restaurants Week, a delicious and fun-filled cocktail launch was hosted by T.Dining and The Proscenium at Rockwell at the newly-minted Kirov Function Room. Not only were the 75 guests—a vibrant intermingling of Manila’s top restaurateurs, chefs, and epicureans—treated to a fantastic Indian spread prepared by Happy Ongpauco-Tiu but they all got a sneak peek of The Proscenium, in particular the well-appointed Kirov venue and the never-before-seen tower itself. After Philippine Tatler Managing Director, Irene Martel Francisco welcomed the foodie guests, a series of videos produced around the T.Dining Best Restaurants Week at Rockwell were presented to highlight the 16 participating restaurants and their special offerings (discounted menus and exclusively created dishes). 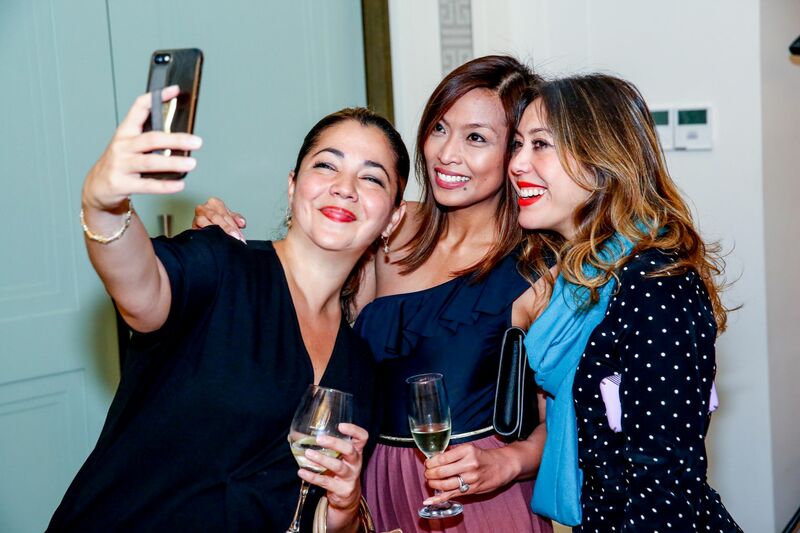 Tracey Castillo, Assistant Vice President for Marketing at Rockwell Land Corporation introduced the property, encouraging everyone to enjoy the luxe Proscenium experience and indulge in the evening’s festivities. Capping off the animated evening, the raffle had Vintech’s Charmaine Wang going home with a nifty Nespresso Inissia machine while Gino Santos took home a bottle of Nicolas Feuillatte. The T.Dining Best Restaurants Week is from March 27-31 and the participating restaurants are Barcino, Chef Jessie Rockwell Club, Cibo, Dean and Deluca, Grace Park, Harlan & Holden Glasshouse, Mesa, Nikkei, Paul Boulangerie, Rambla, Single Origin, Tapas & Pintxos by Rambla, Tuan Tuan, Café Via Mare, The Wholesome Table, and Wildflour Restaurant. Don’t forget to ask the staff for the T.Dining specials! Bon Appetit!